Edited by Rollin Smith. 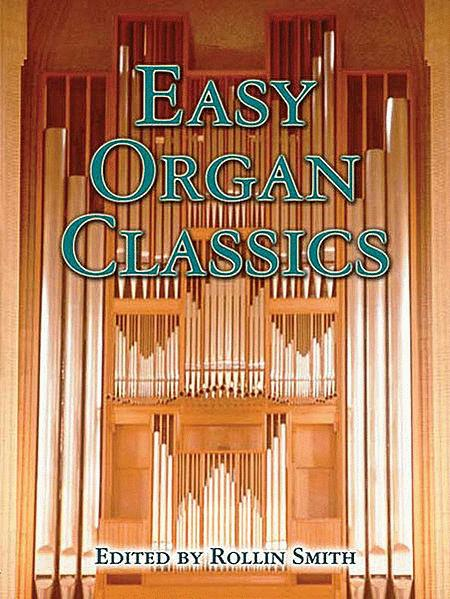 Masterworks; Organ - Method or Collection. Dover Edition. Classical. Collection. 128 pages. Dover Publications #06-449572. Published by Dover Publications (AP.6-449572). ISBN 0486449572. 9x12 inches. English. 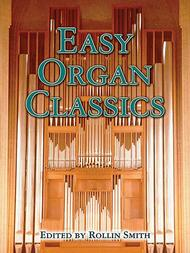 Beginning and intermediate organists can sample a wide variety of composers and styles with this excellent collection. Ranging from Palestrina's sixteenth-century Ricercare to latter-day works such as Sigfrid Karg-Elert's Improvisation on "Nearer, My God, To Thee," it Spans more than four centuries of music.Selected from authoritative sources by musicologist and organist Rollin Smith, this compilation features such famous works as J.S. Bach's Pastorale, BWV 590; Couperin's Chaconne in F; and Handel's Concerto No. 13, "The Cuckoo and the Nightingale." Other well-known selections include compositions by Brahms, Gounod, Haydn, Liszt, Mendelssohn, Vierne, and Widor.